Human immunodeficiency virus (HIV), more than any other disease, is responsible for the renewed interest in drug interactions by physicians, pharmacists, nurses, scientists, and regulatory agencies. The importance of managing drug interactions in infectious diseases moved to the forefront as more drugs spanning the different classes of infectious disease agents became available to treat HIV and prevent or treat opportunistic infections and HIV-related malignancies. This has led to recognition of the potential for and impact of drug interactions in other infectious diseases and with a variety of anti-infective drug classes. 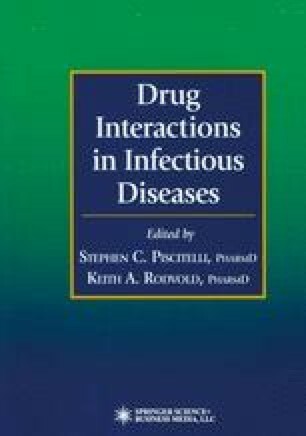 Recent reviews (1–4), including those in this volume, and the development of computerized drug interaction databases (5) further attest to the revived interest and importance of drug interactions in the different therapeutic areas of infectious diseases.